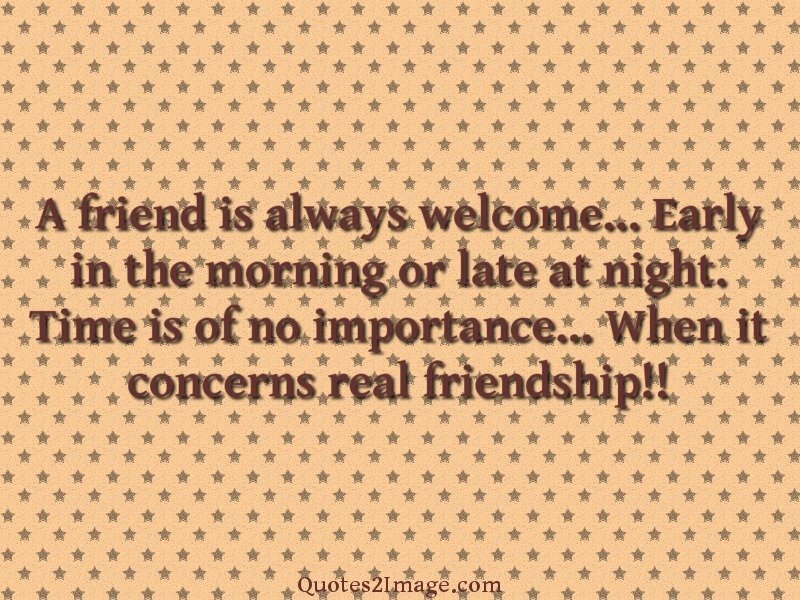 A friend is always welcome… Early in the morning or late at night. 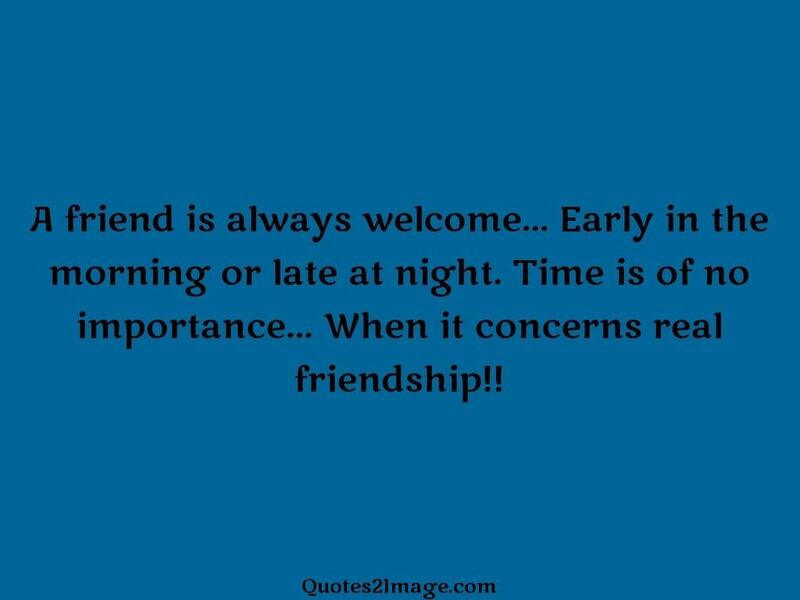 Time is of no importance… When it concerns real friendship! !